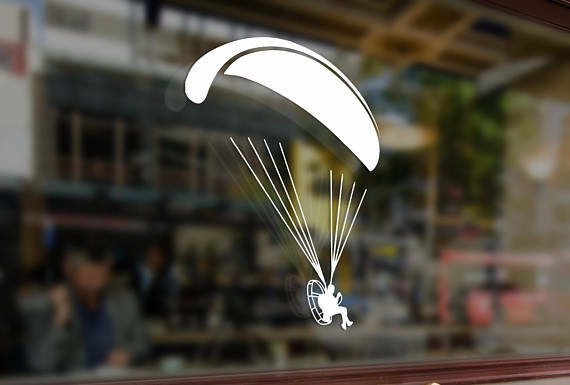 Vinyl stickers with a paramotor silhouette? Great idea! Today accidentally I discovered them in a dirt cheap price. Delivered to your doors! Fancy having nice accent on your car's rear window? Few different sticker types and whole bunch of sizes priced 4e up. Delivery is around 3-4e and takes week or two. We are over the moon! For more information on paramotoring training and classes or equipment sale contact Cathal on 086 838 96 44 or drop an email from here.